Name badges can be ordered with your membership on the membership form and are optional. If you want a name badge after having paid for your membership, simply fill out the form below and you’ll receive an email with payment information within 24 hrs. Upon receiving your payment, your order will be placed. 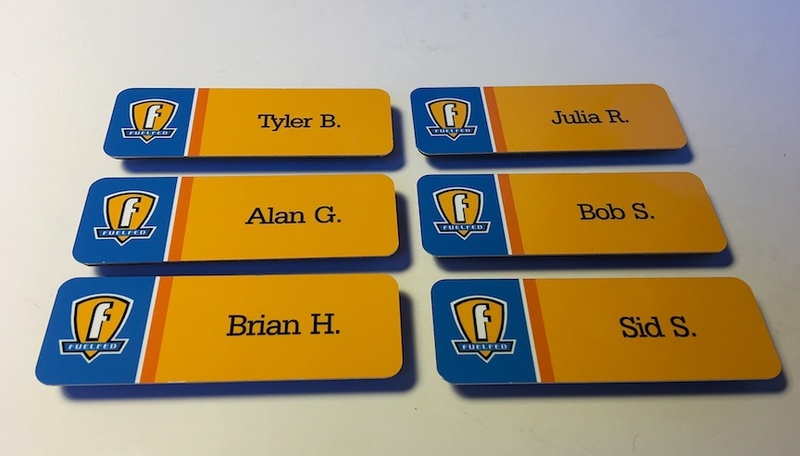 You’ll be notified when your name badge arrives and may pick it up at a Fuelfed event. The name badges have magnetic backs and are $15.